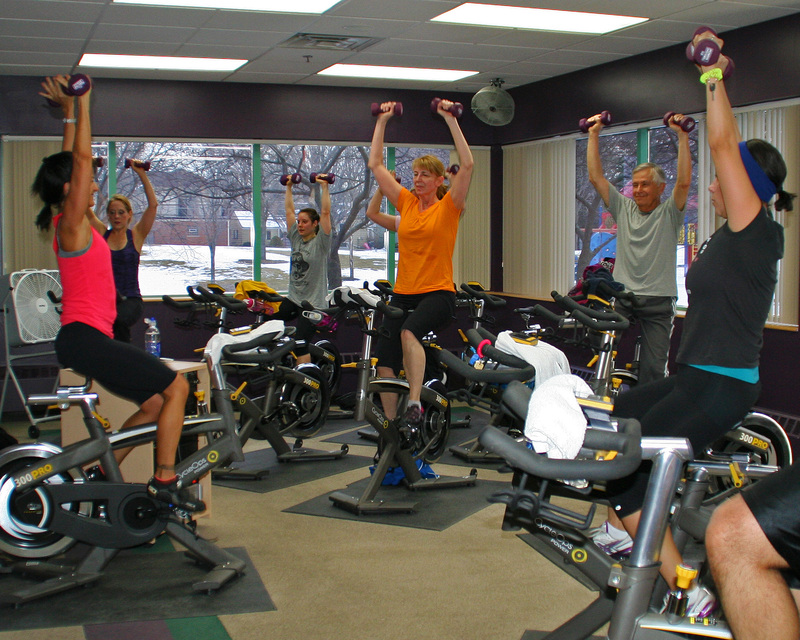 Prairie Lakes Fitness Center Membership Information. 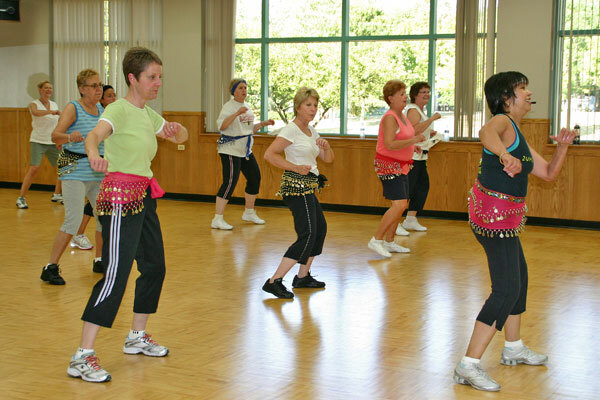 Click here to read more about our current classes. 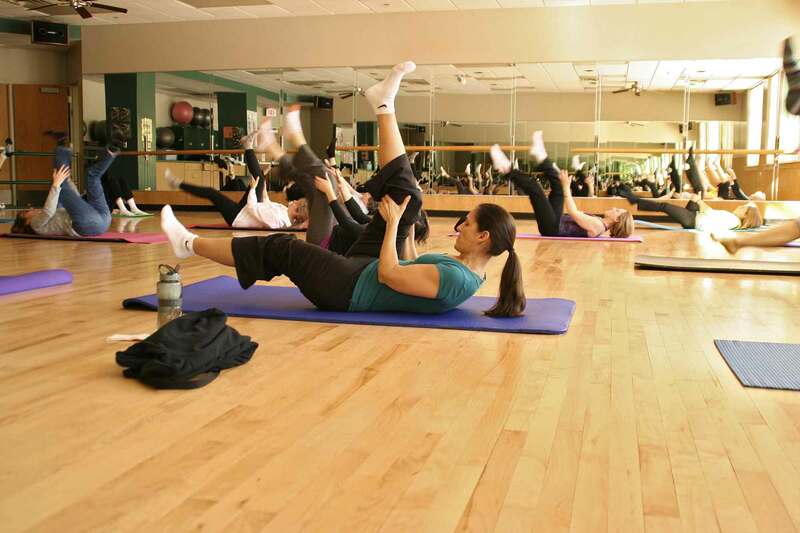 Our experienced instructors continue to train and receive certifications in a wide range of new fitness classes, including the latest Pilates, Yoga, and Zumba routines. 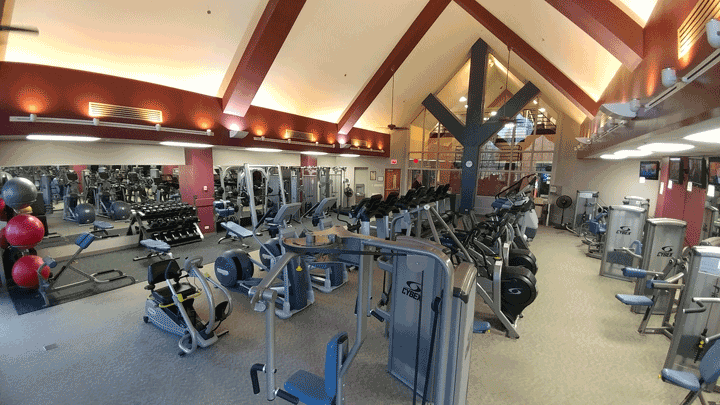 Prairie Lakes Fitness Center members and daily users can pick up a fresh, warm towel at the front desk, and then enjoy a full body workout in a well-designed, spacious, positive environment, with high vaulted ceilings and mirrored walls. The center has a Cardio Vision System which includes individual receivers on most of the fitness equipment, so you can listen to programs from your choice of six flat panel TV screens. We also have saunas, a whirlpool, locker rooms and much more. Come in for a tour. We’re always happy to show you around! 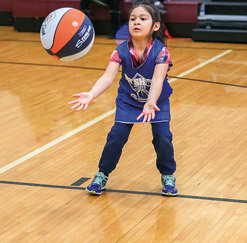 Prairie Lakes Fitness Center Memberships includes discounts on all Group Fitness and Cycling classes, access to member-only lockers and showers, racquetball courts, discounts for the Prairie Lakes Babysitting Center and much more. Information is in the Spectrum. For more info, call anytime or come in for a free tour. The Des Plaines Park District is proud to welcome members of the award-winning Tivity Health™ SilverSneakers® and Prime® Fitness programs. Both are available to members of participating health plans and employer groups. 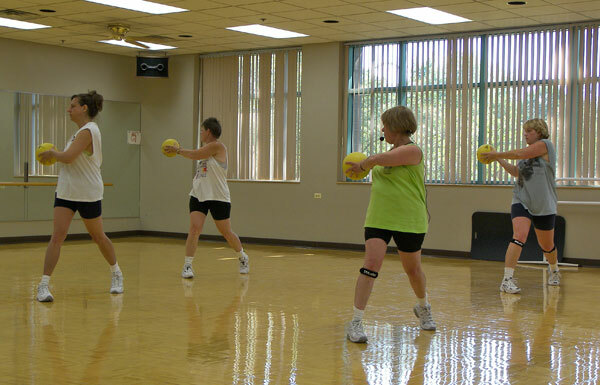 The SilverSneakers and Prime Fitness program is a benefit that’s included in more than 65 Medicare health plans, and it provides a full membership to the Prairie Lakes Fitness Center. The SilverSneakers and Prime Fitness programs at the park district have an additional benefit: full use of the Fitness Center at Prairie Lakes and the Health Club at the Leisure Center. We’ve made it easier for you to get fit and stay healthy. Check your eligibility today, give us a call, and let’s get started! The Park District, in conjunction with Maine Niles Association of Special Recreation (MNASR), is proud to offer the Healthy Minds Healthy Bodies fitness program to serve our Des Plaines veterans. We offer one-on-one personal fitness assessments and sessions with highly trained, dedicated instructors who can create an exercise regime tailored to your specific needs. 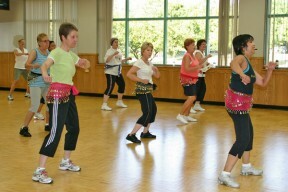 Designed around your schedule, these one-hour sessions will improve your level of fitness and your overall well-being. Personalized Training Sessions can also be taken with a partner. 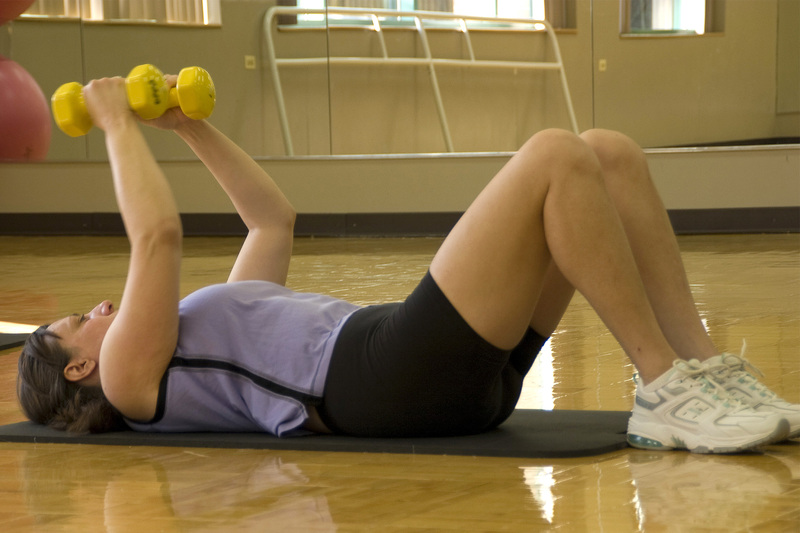 Read more about Personal Training. Complete information is always in the current issue of the Spectrum Program Guide, or you can call and talk with a trainer about the program at Prairie Lakes: 847-391-5711. The indoor walking/jogging track is free! Walk in comfort year-round. We also have half-mile and three-quarter mile outdoor walking/jogging tracks. Our friendly, knowledgeable staff can help you reach your fitness goals. Questions? Contact Jon Kahney, 847-391-5711. We’re open early and late, to fit your workout schedule! 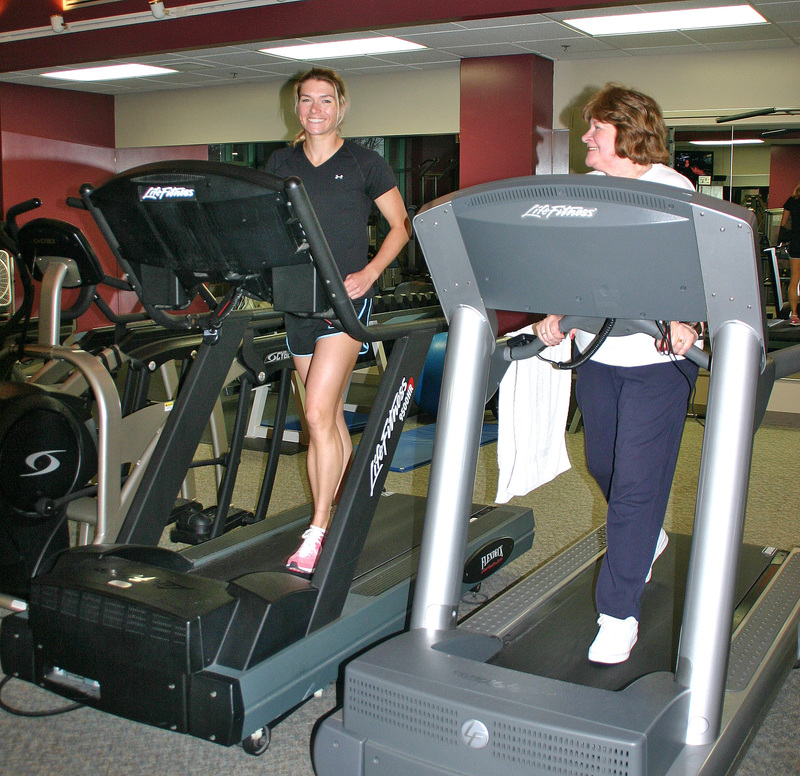 Complete seasonal Prairie Lakes Fitness Center information, including classes and memberships, is in the Spectrum Program Guide.